The Clydesdale is our latest and greatest wood heater, unrivalled for burn time and heat output. Designed with large residences and large, open-plan living areas in mind, this grand heater can warm areas up to 350m2 with long-lasting, permeating heat. Features include a striking, modern façade with streamline, linear fascia and a huge, extended glass panel door for entrancing views of the fire. The Clydesdale promises to become a focal point in your home while keeping you toasty warm throughout the cooler months. 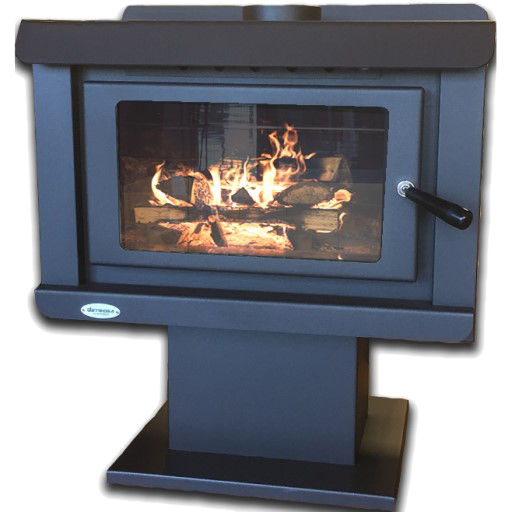 If you would like to know more about the Clydesdale freestanding wood heater, please fill out the form below and one of our friendly staff members will be in contact with you as soon as possible.